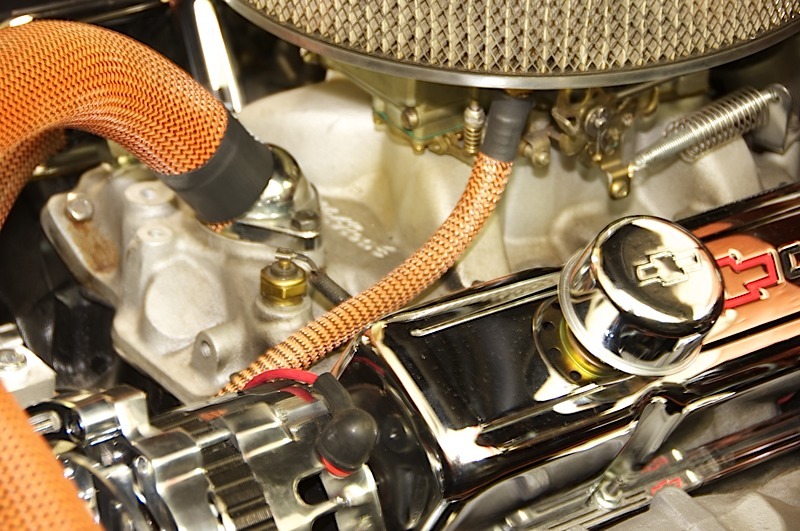 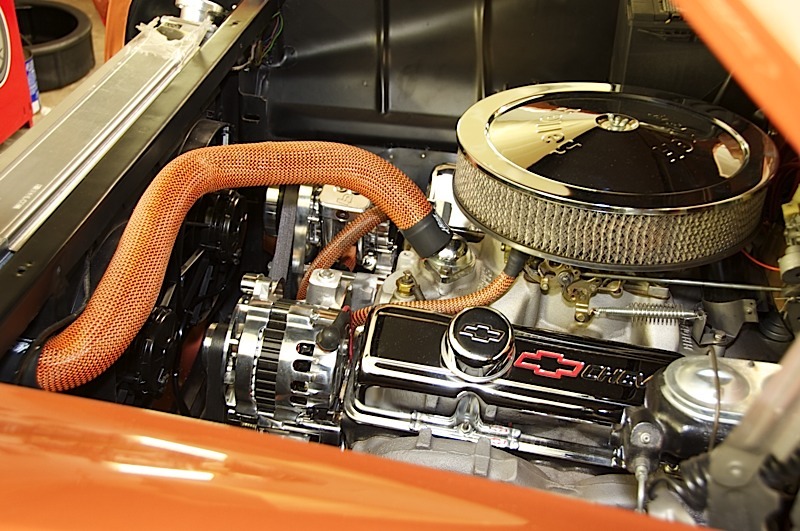 This 56 Chevy Nomad was sweetened with Hose Candy by Sunset Automotive in St George UT. 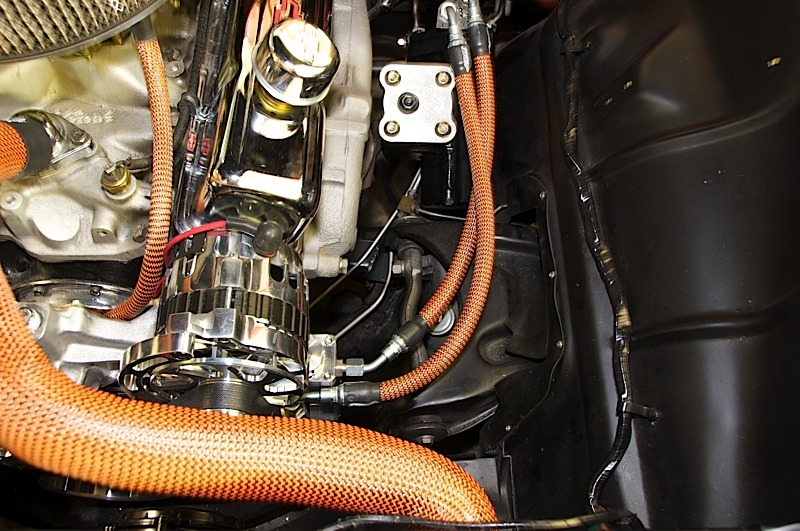 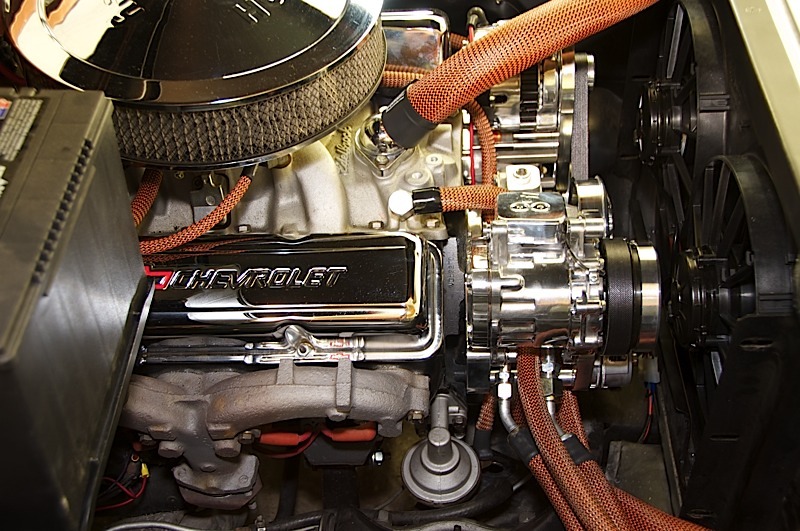 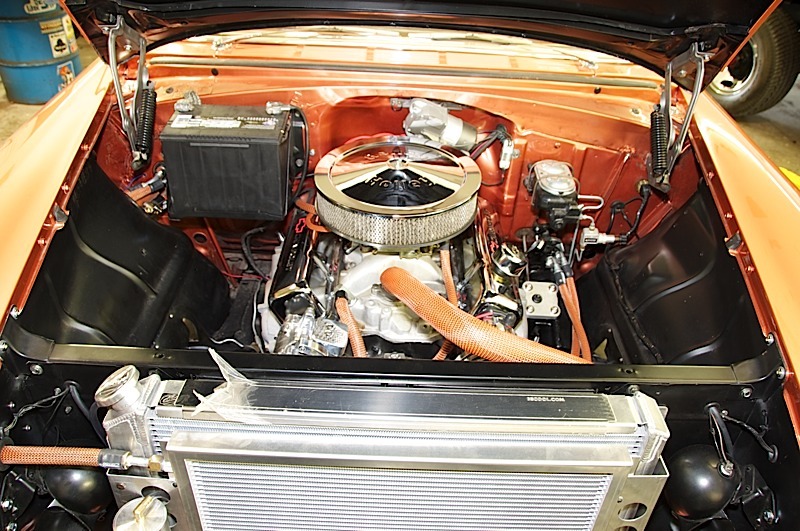 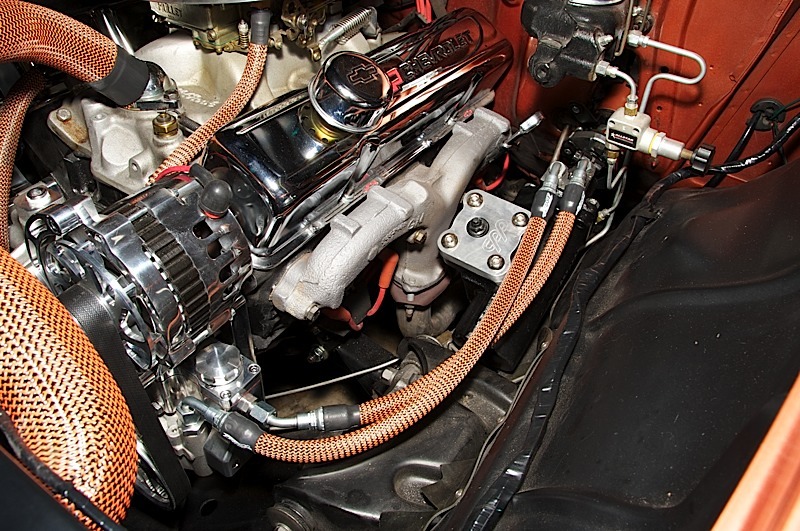 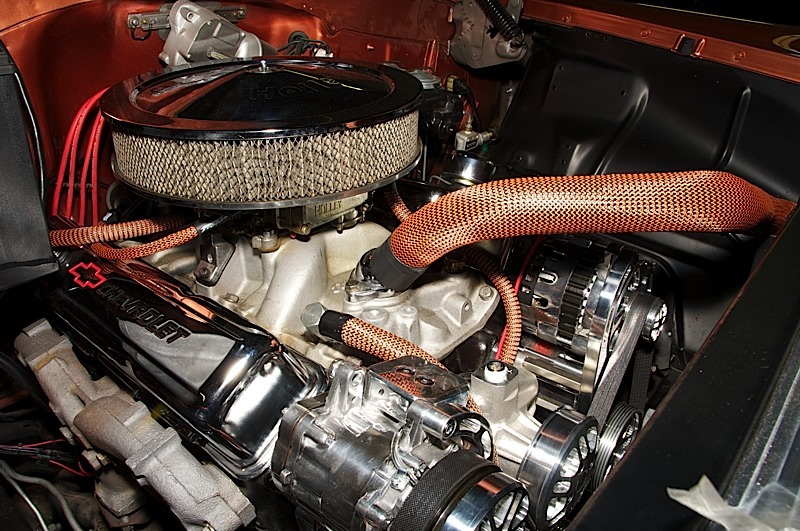 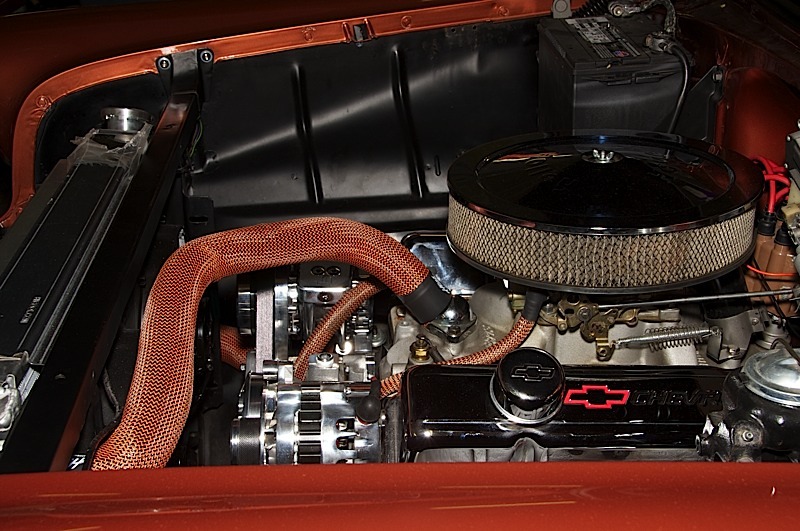 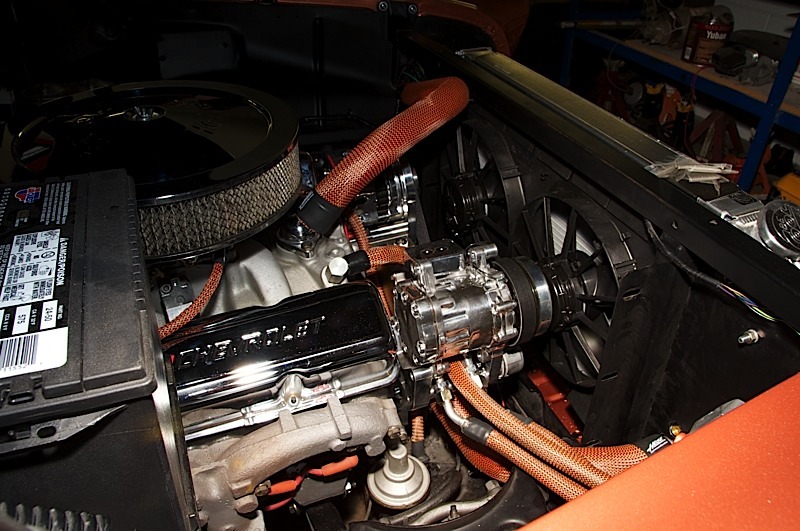 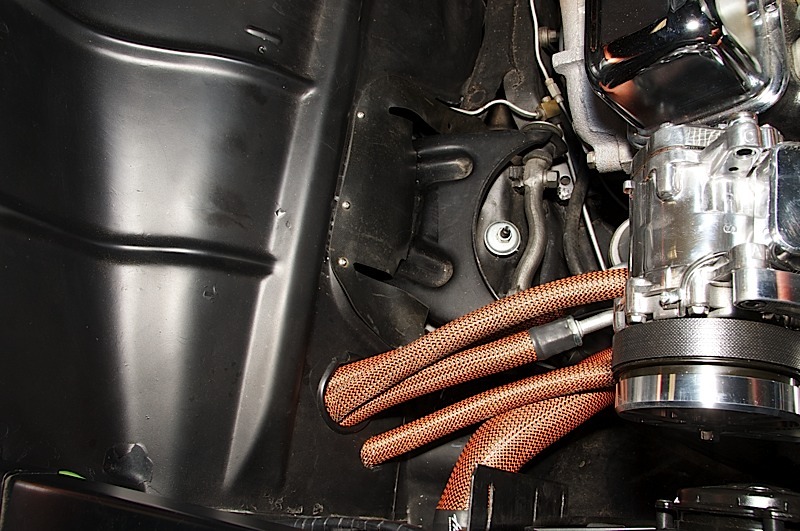 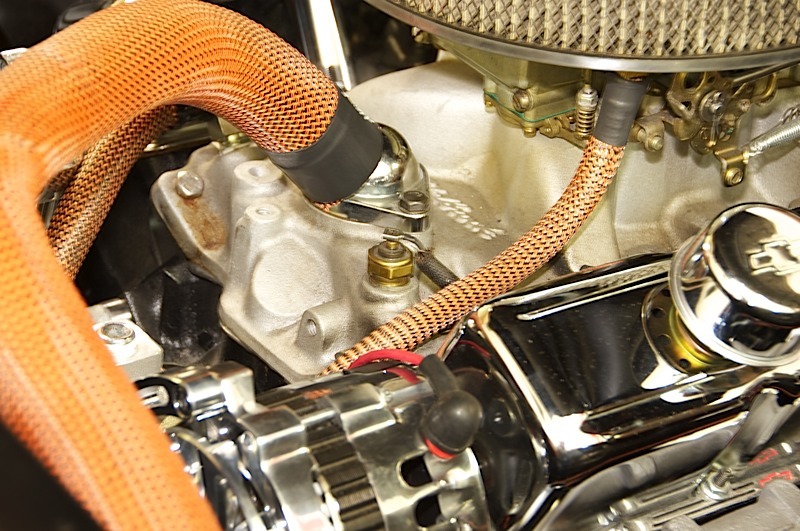 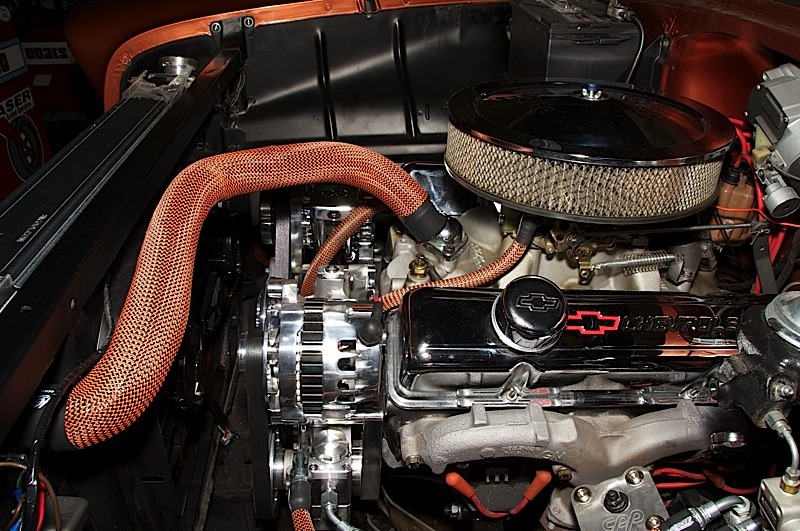 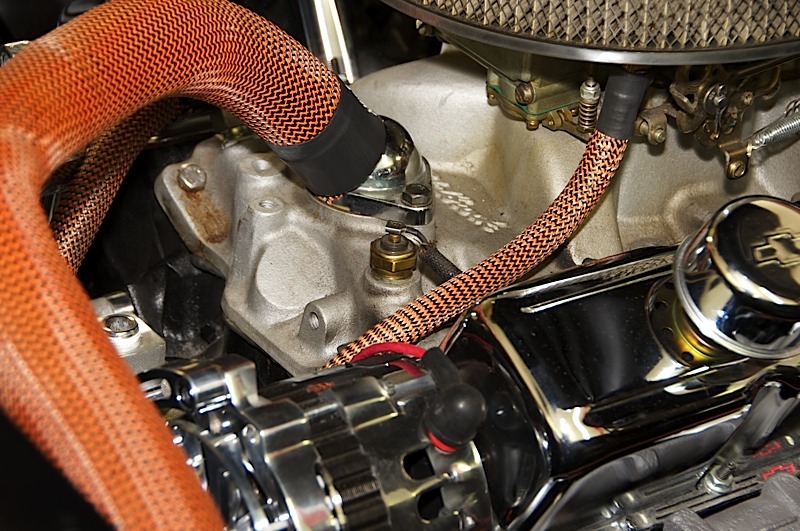 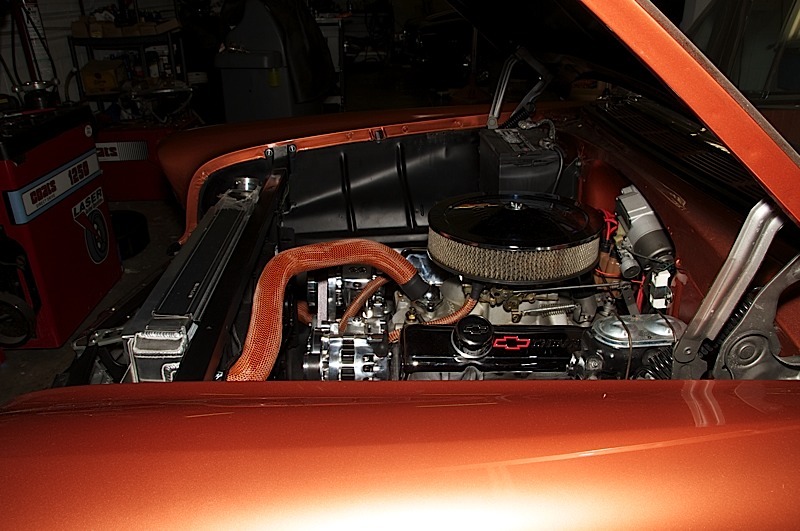 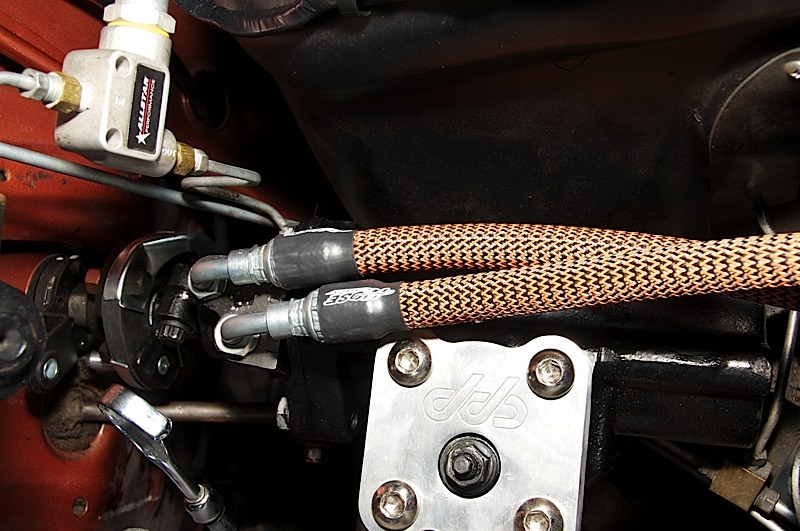 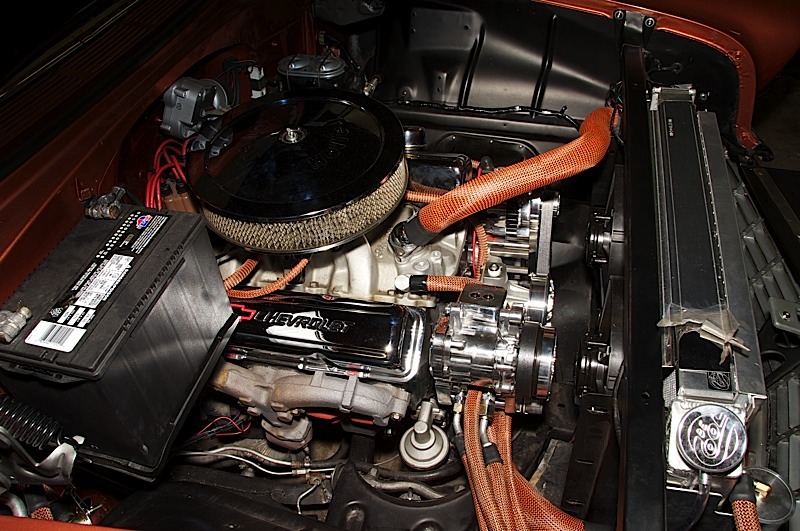 The owner chose a Hose Candy Hotrod Kit with Orange Carbon Fiber/kevlar Hose Skins, Black Super-Shrink and . 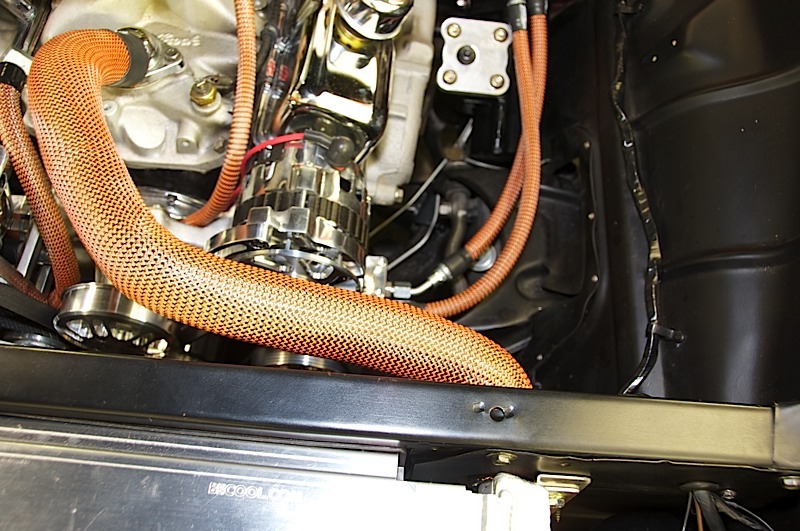 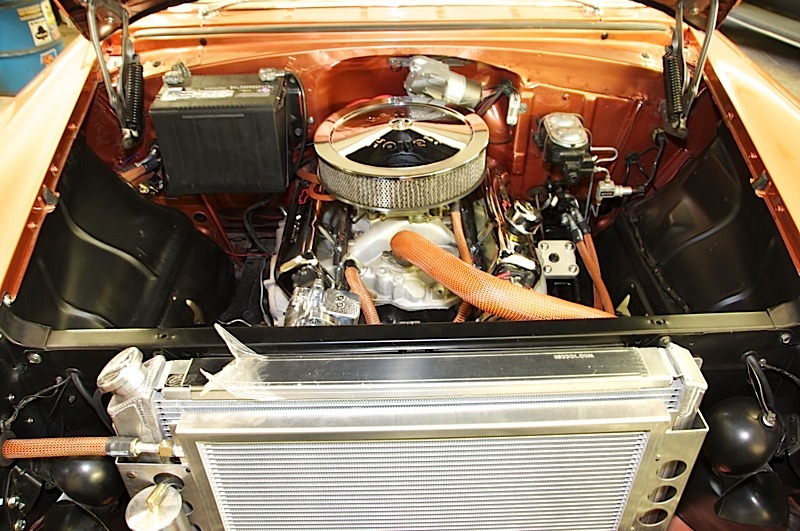 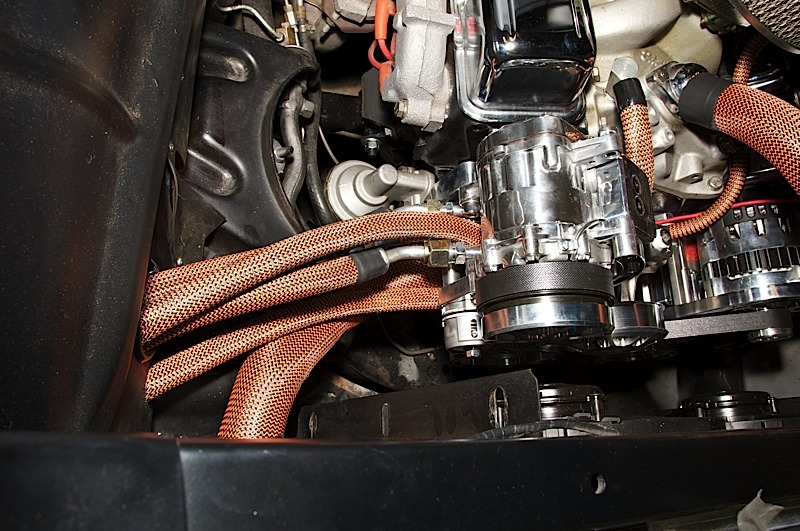 After seeing the upper hose “skinned”, they loved the look so they added a few more Hose Candy goodies like: Heater Hose Add-on, A/C Hose Add-on, Hi-temp 665 CF/K coating and Liquid Clamp. 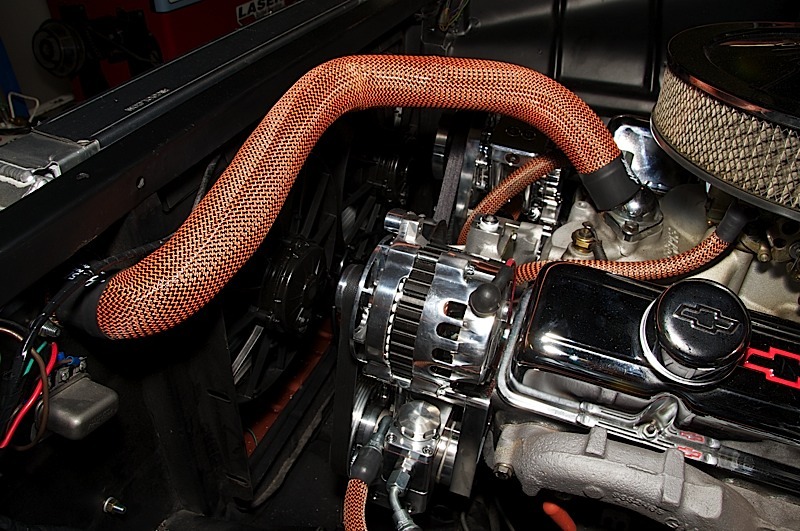 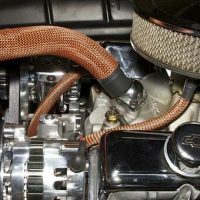 The upper hose is a good example of a tricky Hose Skin installation with all the curves and bends.